Lets talk about fun, with this wet slides there are loads of it to happen. 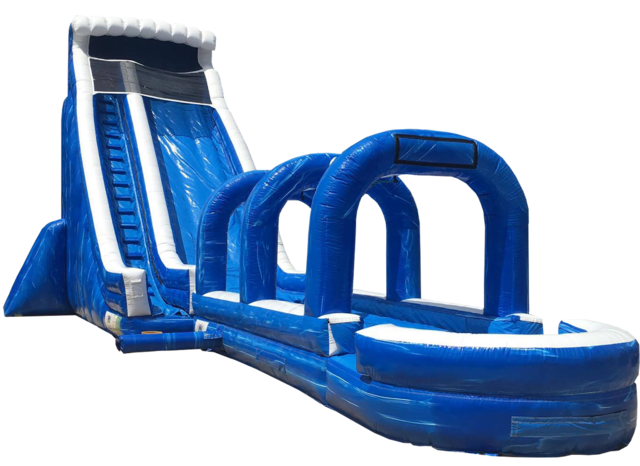 The fun doesn't end when you reach the bottom of this 24ft slide; the fun continues with our attached slip n dip with a pool at the for a big finish. The weight limit for this jump is 500lbs. This rental's based price is for 6 hours. If additional rental time is needed we do offer overnight rental which is 25% extra.